The Martingale strategy: In this strategy, if betting on odd vs even numbers or black vs red, each time you lose you double the amount bet and then bet on the same color or odd vs even numbers. 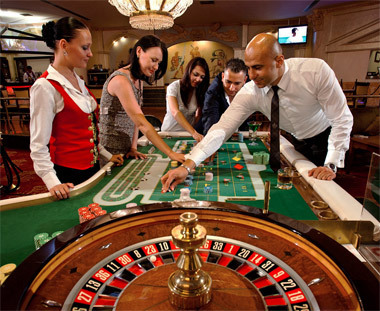 You can begin the game by betting the minimum amount that the table requires and climb your way up but you must also remember there are tables that have a maximum amount you can bet. It is possible to reach the maximum before you win anything. For this strategy to work, you need to have enough cash to afford doubling up each time.